Sibuk nak cari rumah ke? Nak yang cam ne? bungalow? Condo? Semi-D? flat? Nak beli ke nak sewa? Nak pi survey tapi tak de masa plak kan. Lagipun dengan tak tau agen lagi ke tak kan? Dah tak yah sesusah. Korang klik je ke www.CloudHax.com untuk jawapannya. CloudHax is the latest advanced online platform in Malaysia to help improve your online market visibility. We provide tools for you to collaborate with anyone, anytime and anywhere. Our website is mobile responsive and runs perfectly across PC, tablet or mobile devices. We are your source of latest news and updates, keeping you informed at all times. We have an array of portals such as property, automobile, travel, jobs and events and numerous other aspects to be explored in the future. “One Platform for All” implies the mass suitability for everyone, crossing time and place boundaries. Access, surf and use CloudHax at your convenience to enhance and manage your businesses. Ok dah paham sket kan. So tak yah aku nak terangkan dalam bahasa melayu. Korang kan dah terrer speaking ni, mesti paham punye. 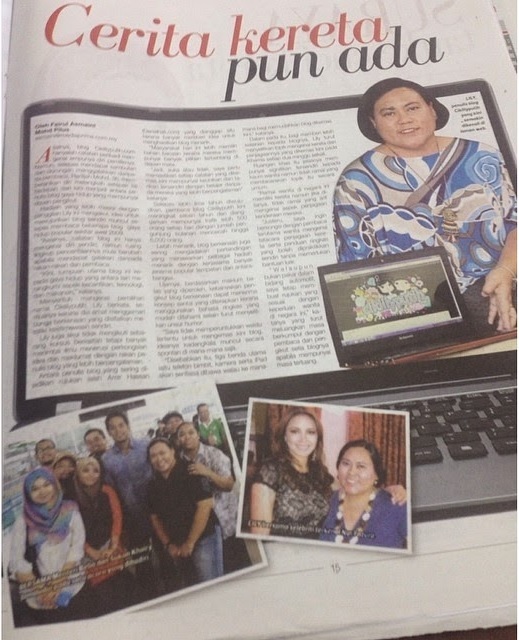 La tak reti nak guna online portal CloudHax ni ? 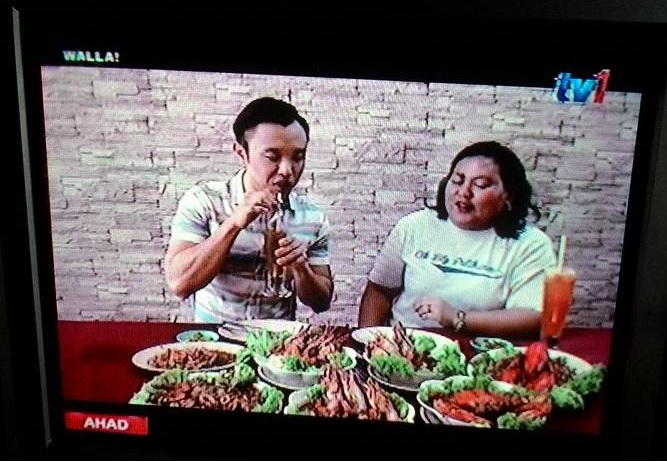 Meh sini, biar akak ko yang sado ni terangkan. 1. 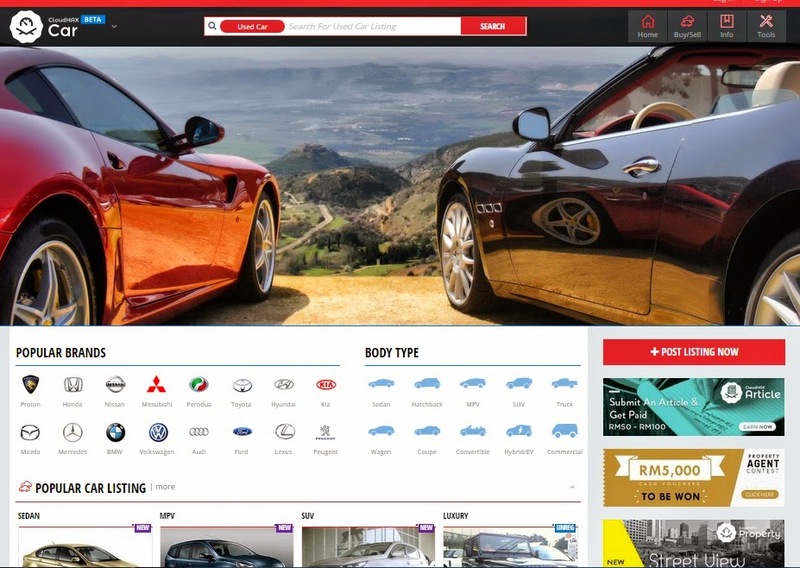 Searchlah dulu website www.CloudHax.com ni. Taip kat google.com tuh. Nanti keluarlah. 2. Terpampang dengan website tu tempat untuk search, so korang masukkan lah kawasan mana yang korang nak cari. Nanti keluarlah listing tuh. 4. Contoh macam aku pilih Palm Walk Residencies ni. 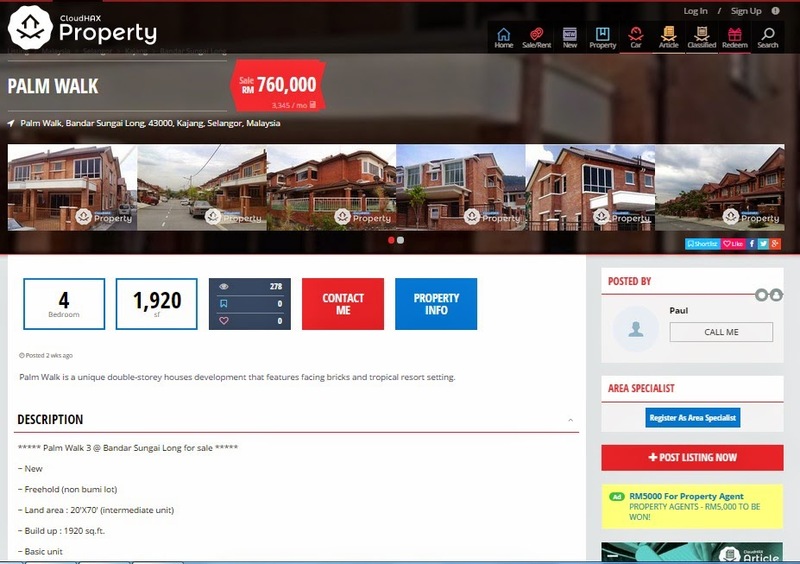 Kengkononlah cari rumah area Sg Long Kajang nilah. 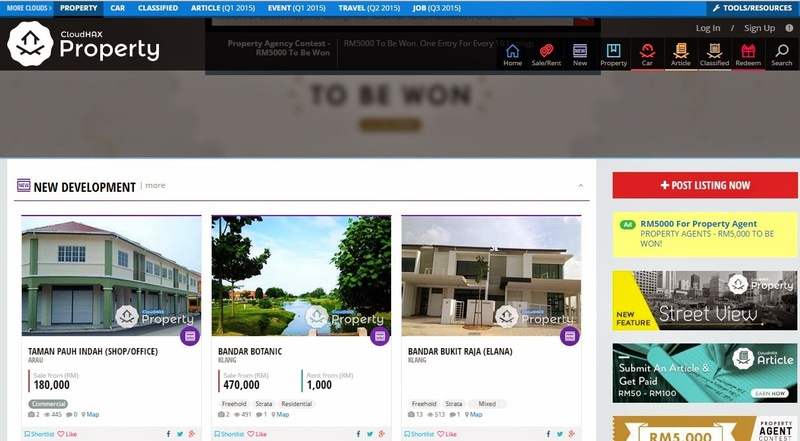 So kat page ni akan keluarlah segala details mengenai rumah tersebut macam keluasan rumah, interior rumah, details agent rumah, gambar-gambar, harga, lokasi rumah, facilities yang berdekatan dan siap ada comparison column kat sebelah bawah dengan rumah-rumah yang sama dalam kategori pilihan korang tuh. 5. So terpulang pada korang, samada nak terus set appointment dengan agen ke, nak search lagi kan.
Sama jugak kalau korang nak sewa rumah, langkah yang sama jugak tapi korang pilihlah RENTAL type. Nanti keluarlah segala info mengenai rumah yang korang nak tuh. 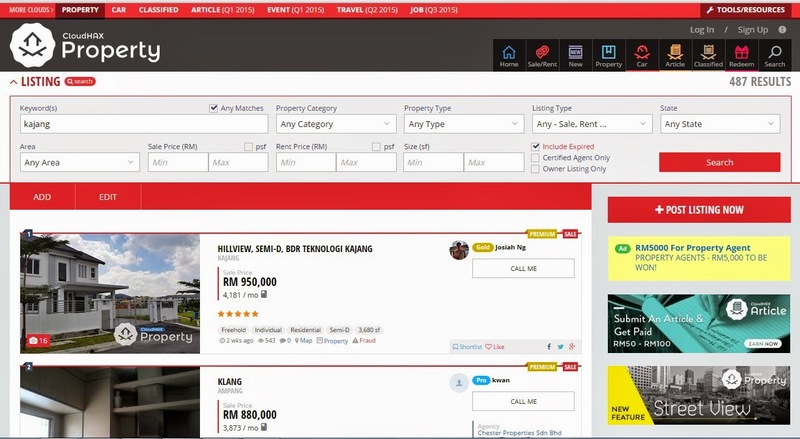 Selain daripada rumah/hartanah, CloudHax juga menyediakan pelbagai jenis perkhidmatan lain seperti jual beli kereta, pelancongan, pekerjaan, events dan memacam lagi. Semuanya sedang di masukkan ke portal ni. Lagi senanglah hidup kita nanti ek. Ok ok, ini panjang sket plak. Kenapa pilih www.CloudHax.com sebagai rujukan korang? CloudHax merges several specialised clouds – property, car, travel and more upcoming aspects to be rolled out in the future. Users are not only confined to a single cloud and you can easily swift from one portal to another to look for what you want, all within Cloudhax itself. CloudHax has a very large property database that any property name you enter will automatically generate its corresponding information such as address, map location etc. Not only that, we also have images of the property stored within our cloud so if you do not have images to upload, feel free to select them from our cloud images. Agents and agencies who work with us can enjoy the exclusivity of their own personal page with embedded information such as contact number, address etc. Agents can bind with their respective agencies and users can easily view an agency’s page to see the list of agents under them. Users or buyers can place their utmost trust on agents who work with us because we ensure they have been verified before engaging them to our website. Agents or agencies who have been certified will have CloudHax’s exclusive widget on their page. Sometimes the most daunting task is to know the current market trend and CloudHax offers a unique trait to track backdated or latest market value of a particular property. This is handy for agents when advising your clients on the best pricing. For users or buyers, you can conduct your own market analysis either for a specific area or for a property. 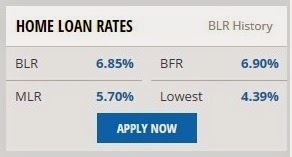 Property/Car buyers are especially concerned of prices and affordability so when browsing listings in CloudHax, we provide an advanced loan amortization calculator with customisable loan repayment period and interest rate so users may have a better picture of the monthly instalment amount. CloudHax’s map is incredibly sophisticated. Apart from the customisation of a location directly on the map, users can fully utilise the street view to observe a property and its surrounding environment. Not only that, the map also promises convenience by allowing users to search for nearby properties within a close proximity. Hax Credit is CloudHax’s loyalty program where you can claim FREE Hax Credits daily and use them to post listings, upgrade listings or even redeem items on our redemption page. Puas hati tak dengan penerangan aku. Itulah aku memula pun tak paham jugak, tapi lepas check it out online portal CloudHax ni barulah aku paham cam ne, website ini membantu kita untuk menyelesaikan masalah harian kan.
Korang boleh check it out jugak di www.CloudHax.com untuk keterangan lanjut. Memain dulu, tekan sana-sini nanti pahamlah. semuanya di hujung jari ye..
assalamualaikum, kaknoor jenjalan singgah follow ciklily..